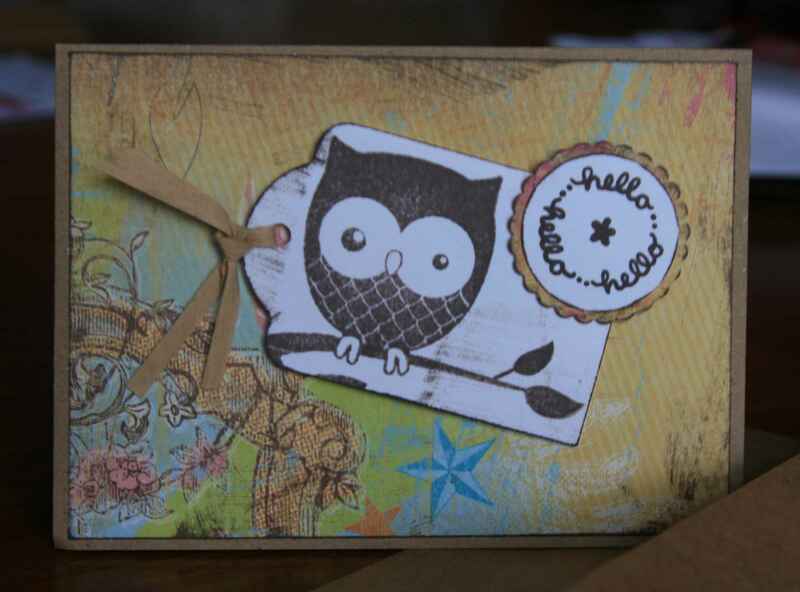 Here’s a sweet “hello” card from Holly. Love the cute owl…he’s adorable. BTW…I’m not sure of all the products but if you would like to know where something came from then shoot me an e-mail…I’ll find out. 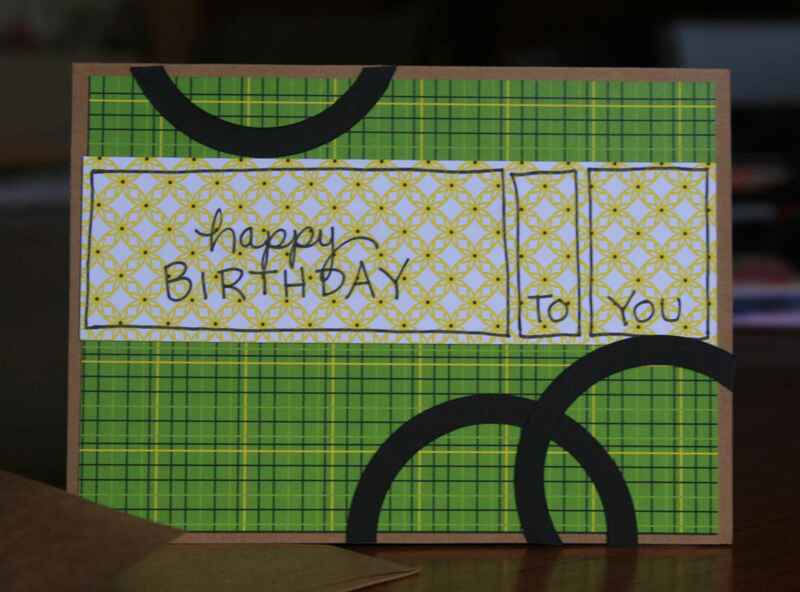 Kelly used some JB Soup on her “Happy Birthday” card. She also drew/hand wrote her sentiments on! It looks like it’s stamped…cute stuff, Kelly. 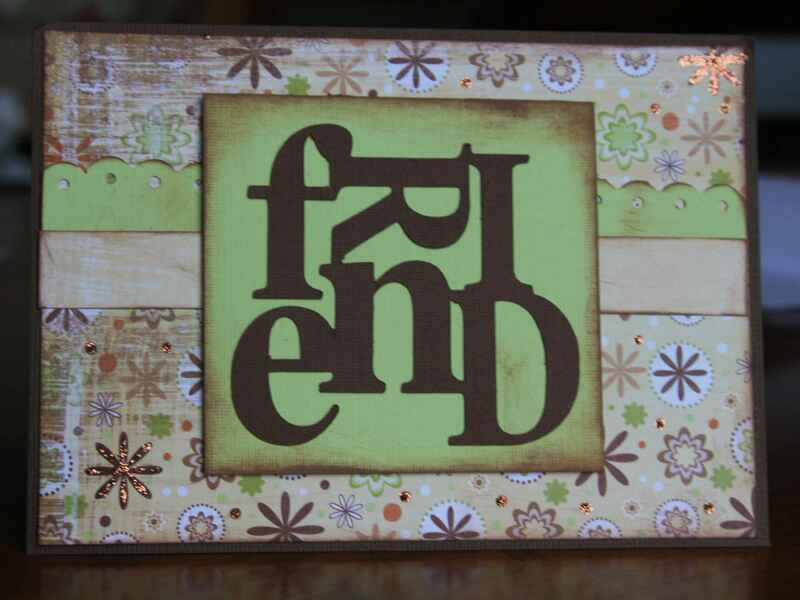 A “friend” card from Missey. 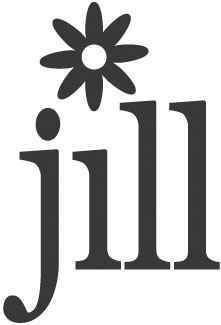 I LOVE this font/design from her Cricut…Missey, I can’t remember the name of the cartridge. Great job distressing and adding some stickles for flair. Love this “Happy Birthday” card from Tracy with a “hint” of JB Soup. The pic doesn’t do it justice. Here’s a cute “Thank You (Merci)” card from Sarah. I love the thick polka dot ribbon. Great spring colors Sarah! An adorable “baby” card from Jamie (there’s a hint of JB Soup on there too). 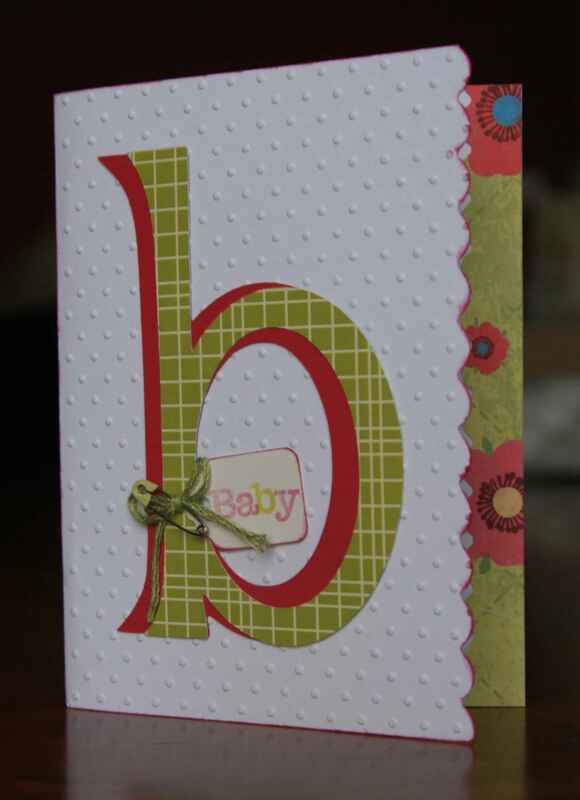 Love the edging on the inside of the card…love the embossed card too! 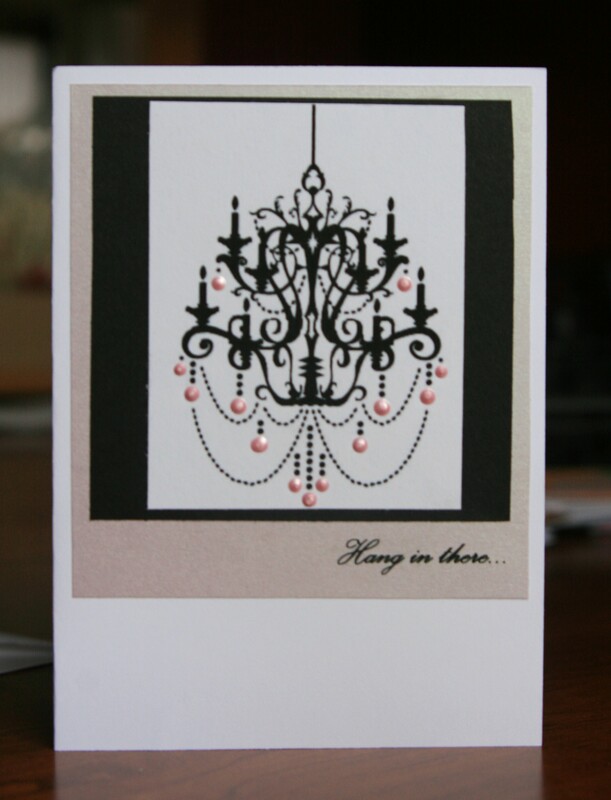 Here’s a simple but incredibly elegant card from Michelle. Michelle told us she copied the chandelier image from the internet and printed it out. It looks like a stamp or rub-ons! She added the pink puff paint and the sentiment and “ta da”. Love it! Heather, I apologize for the lighting in this photo. 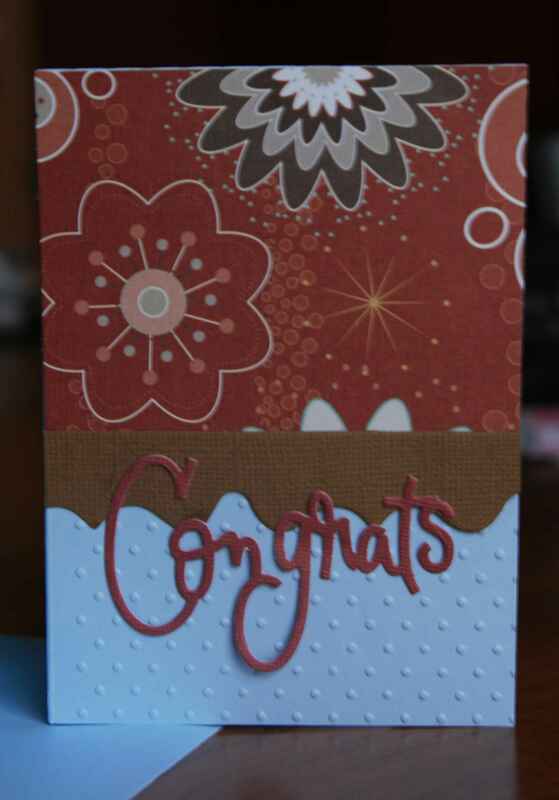 Heather made this cute “Congrats” card. 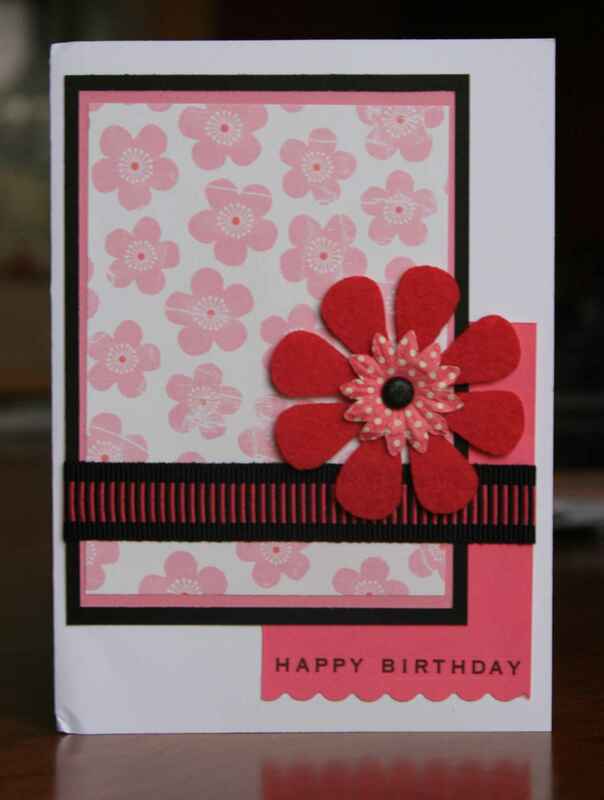 The patterned paper on top has a hint of the blue…the colors look great together. 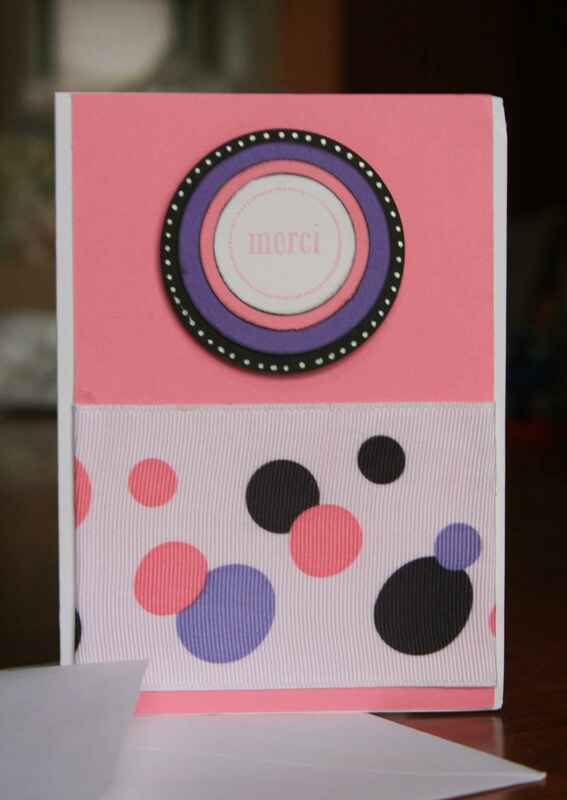 There’s that embossed paper again (lovin’ the Cuddlebug)! Thanks Ladies! Love the designs! 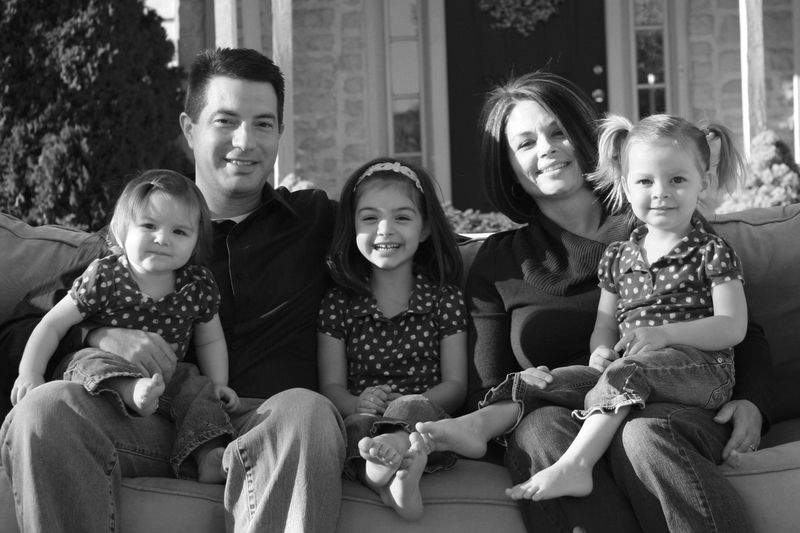 Here it is… Blog Crawlers Welcome!